Are Flashbulb memories special or ordinary memory formations? Are emotional, cognitive, or social factors highly relevant for the formation of Flashbulb memories? How can sociological, historical, and cultural issues help us to understand the process? What is the difference between Flashbulb memories, memories of traumatic experiences, and highly vivid personal memories? How can we provide a valid and reliable measure for Flashbulb memories? This edition of Flashbulb Memories: New Challenges and Future Perspectives revisits these questions, considering significant new evidence and research in the field. It now includes additional chapters focusing on experimental investigations, and review studies on positive vs. negative Flashbulb memories. Bringing together leading international researchers, the book presents significant progress in this area of research, which has remained divisive for the past 40 years. The discussion of Flashbulb memories also contributes to the understanding of the general functioning of autobiographical memory. 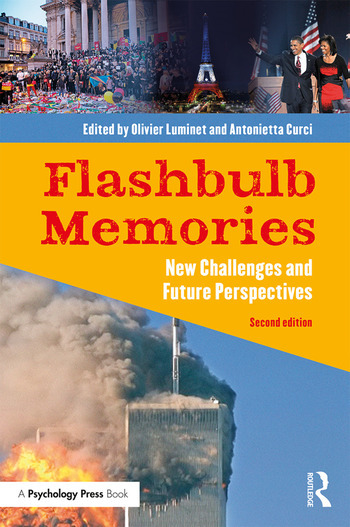 It will provide essential reading for researchers in Flashbulb memories and will be of great interest to those in related areas such as cognitive psychology, social psychology, cross-cultural psychology, sociology, political sciences, and history, as well as clinicians dealing with those who have strong Flashbulb memories after personal traumatic events. Olivier Luminet is Research Director at the Belgian Fund for Scientific Research and Professor in Psychology at the Université Catholique de Louvain and at the Université Libre de Bruxelles (ULB) in Belgium. Antonietta Curci is Associate Professor at the University of Bari, Italy.